Ideum welcomed a group of college students on March 21 and attended eCADEMY’s career fair in Albuquerque on March 26. Ideum was pleased to welcome a group of students from United World College USA on March 21. 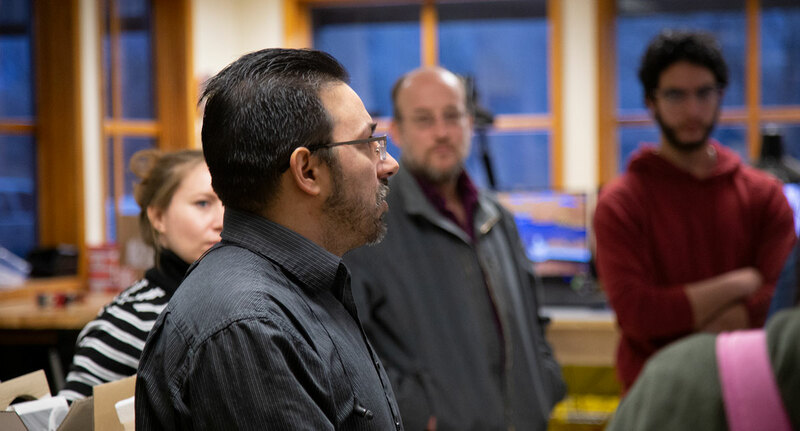 The visit was part of a statewide tour for the 16-17 year old students, who also visited labs and companies in Las Vegas, Santa Fe, Los Alamos, and Albuquerque during their week-long journey exploring careers in science, technology, and design. 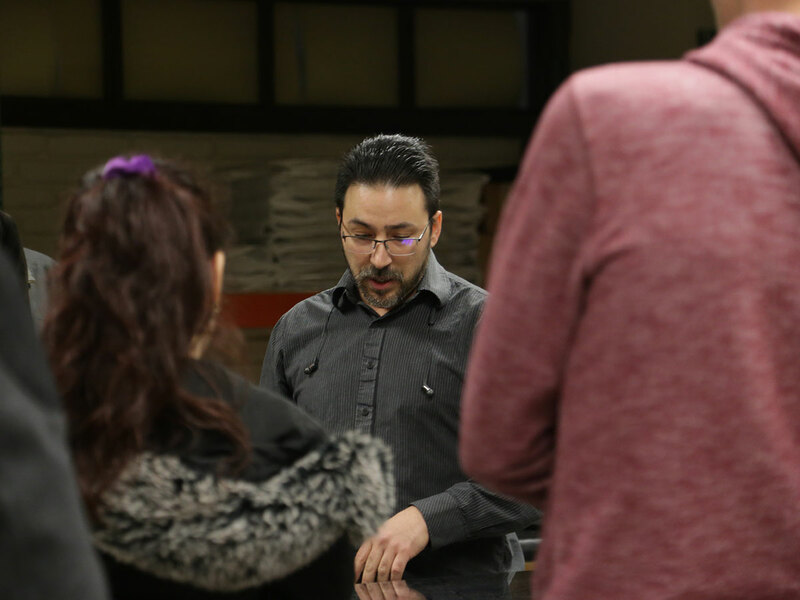 At Ideum, the group had the opportunity to tour both Ideum’s main campus and our Exhibit Fabrication Studio and meet many of our developers, designers, hardware specialists, and producers. The trip exposed the students to a wide range of STEAM career paths, offered practical entrepreneurship information, and responded to questions about Ideum’s immersive experiences and touch products. Everyone who had the privilege of interacting with these students found the internationally diverse group inspiring. Our team was honored to have been able to support their educational adventure through New Mexico as well as UWC-USA’s mission to foster global understanding and acceptance. 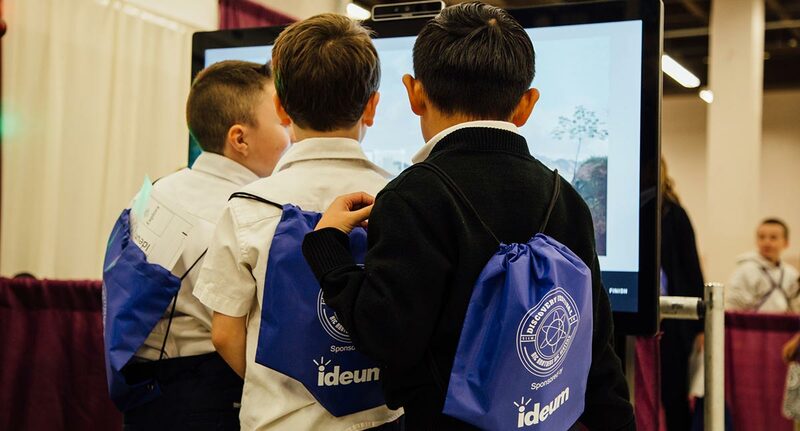 Ideum team members also took part in eCADEMY’s Career Fair in Albuquerque on March 26. 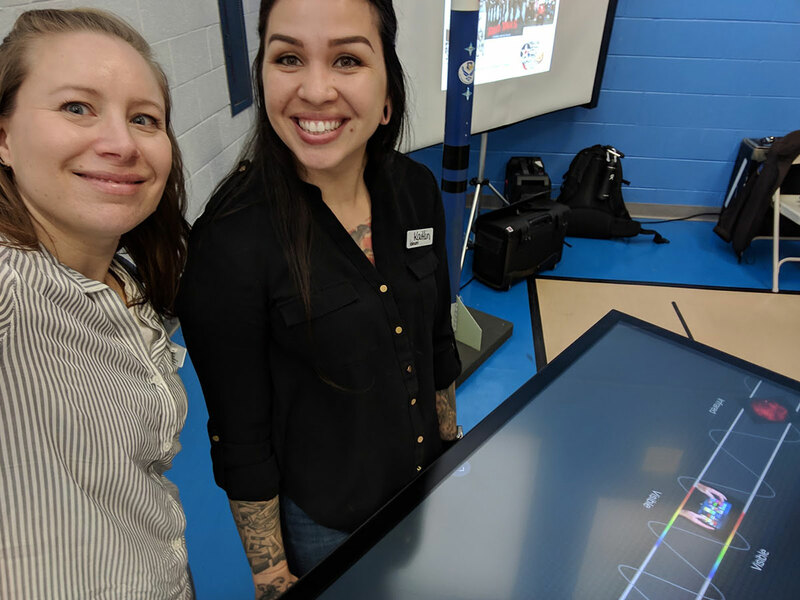 At the event, about 100 high school students interacted with a multitouch table running Ideum’s original educational application EM Spectrum and discussed career paths and positions available in technology and design. Ideum is a natural fit for career fairs and student visits because our team’s skills and the firm’s projects span all of the STEAM disciplines. Not only do we design and manufacture multitouch tables and displays, but we create truly unique immersive and interactive experiences for the world’s busiest places. Ideum also launched our Technology for Our Community program in the summer of 2018. The program offers touch tables and displays to a variety of local non-profit, educational, and community organizations. Please contact us at [email protected] to learn more about how we could partner with your local organization. Internship opportunities are available on our website. 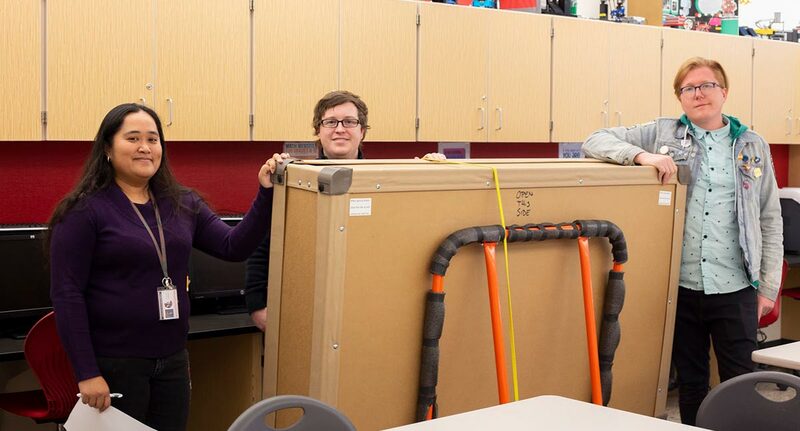 Students were invited to experience multitouch tables in Ideum’s workshop. 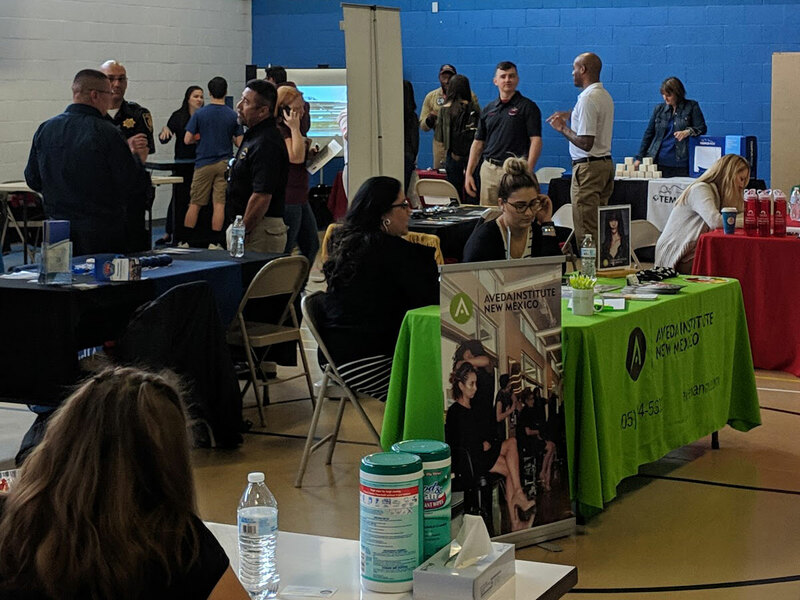 Ideum team members attended eCADEMY’s Career Fair in Albuquerque on March 26, 2019.